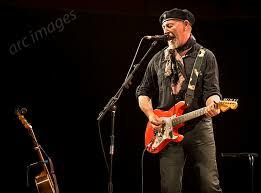 I remember, almost to the day, when I became not just aware of Richard Thompson, but when I suddenly realised that here was the musician I was going to treasure, enjoy, laud and revere above all others. That was the day I picked up my copy of Q magazine and reading the review of his 1994 album, Mirror Blue. The reviewer, in giving it 5 stars, made the comment that the album was ‘the greatest album by an artist you should have, but probably didn’t, know.’ A sentiment I agreed with as, despite having become a regular at Fairport Convention’s Cropredy reunion, I still wasn’t fully a RT devotee. 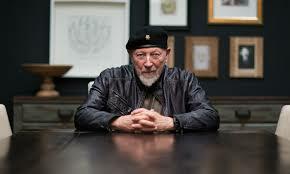 The album, though, was bought, and a 30 odd year admiration of the world’s greatest guitarist and songwriter began. Richard, who celebrates today his 70th birthday, started his music career whilst still at school, forming the band ‘Emil and the Detectives’ with friend and future member of The Strangler’s Hugh Cornwell. 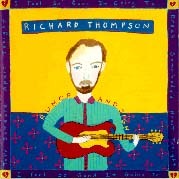 Taking many influences from his dad’s record collection, a theme he returned to on the song Guitar Heroes, Thompson developed a talent for being able to play in many different styles. By 1967, however, RT had joined forces with fellow guitarist Simon Nicol, bassist Ashley Hutchings and drummer Shaun Frater (soon replaced by Martin Lamble) in the band that came to be known as Fairport Convention. Initially content to plug into the American sound coming from both the East coast of Bob Dylan and the Californian guitar bands such as The Byrds, Fairport soon developed their sound. Key to this was the finding and burgeoning interest the band found in electrifying English folk music as well as the development of band members becoming exceptional songwriters in their own right. The band had gone through a number of personnel changes, bringing in the likes of Sandy Denny and Dave Swarbrick to bolster the folk playing and songwriting talents, as well as experiencing tragedy when drummer Martin Lamble, along with Richard’s then girlfriend Jeannie Franklyn, lost their lives in an accident on the M1. The band continued to work, releasing seminal albums such as Liege and Lief, before founder member Ashley Hutchings left the band to be replaced by Dave Pegg. By 1971 Richard had begun to develop, not only as a songwriter, but also a sought after session player and producer, working with the likes of Nick Drake, by which time he also left Fairport to break out on his own. 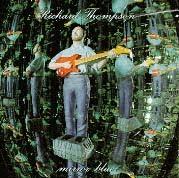 In 1972 Richard released his debut solo album, Henry The Human Fly, which became the catalyst for a solo career of rare ability, creating albums on his own and with his first wife, Linda, over the last 47 years that have never been anything less than excellent with particular highlights being the aforementioned Mirror Blue and, for me, the greatest album ever made, 1991’s Rumor And Sigh which features the fabulous audience favourite Vincent Black Lightning 1952. A point in popular music that has never been bettered. Richard’s legacy is not only reserved for his own work with various of his children producing high quality work themselves; son Teddy having solo success as well as daughter Kami performing with her band The Rails for example. Richard’s unique playing style is often cited as an influence on younger contemporaries with RT often being placed very highly in polls of the greatest guitar players of all time. 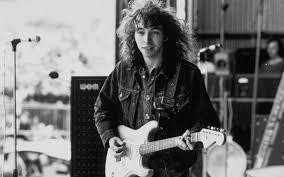 His songwriting is rightly also lauded as up there with the likes of Paul Simon, David Bowie, Ray Davies and Lennon and McCartney as the very best of the very best. A live performer of fantastic energy, skill and exuberance, his concerts, whether solo acoustically or with his electric trio, are always experiences that every music fan needs to feel at least once or, like I have, on more occasions than you can count. An oft repeated cliche is that one should never meet one’s heroes. Richard is, though, an exception to that rule. 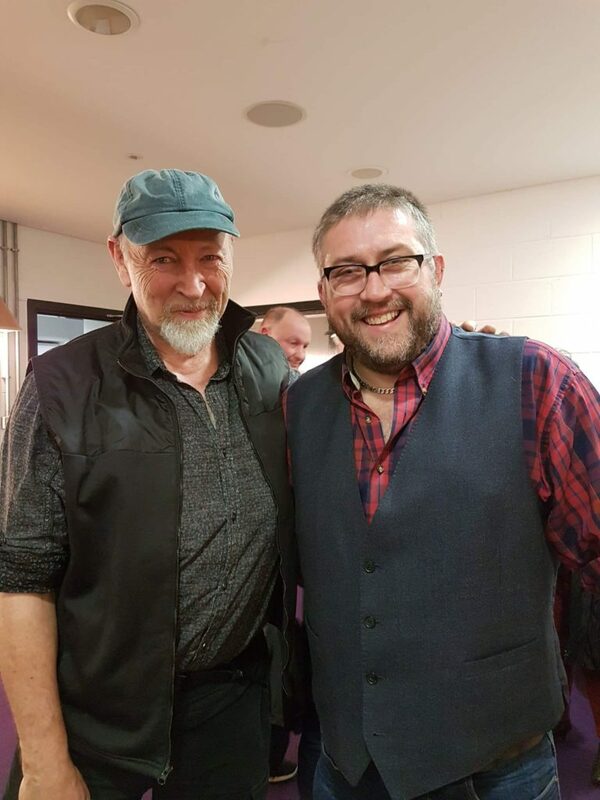 Having been lucky enough to have met Richard on a number of occasions now, playing cricket with him for the B Sharps team, I can say that RT is one of the most genuine, modest, approachable and loveliest guys you could ever wish to spend anytime with. Indeed, perhaps my personal greatest sporting moment, was being given the honour of captaining RT when the Sharps played Cropredy in the annual Festival cricket match! I’m guessing that Richard would feel quite embarrassed by the plaudits that will come his way today from myself and other aficionado’s of his music and talents but I can say, regardless, they are deserved. Happy 70th Birthday RT!